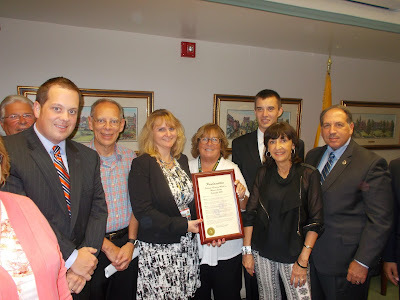 The Morris County Board of Freeholders has proclaimed September as “Recovery Month’’ in Morris County, part of a national observance held each September to educate all residents that substance use treatment and mental health services can enable persons dealing with those problems to live healthy and rewarding lives. “We celebrate the gains made by those in recovery,’’ Freeholder Director Kathy DeFillippo said at the Sept. 9 freeholder meeting in Morristown. “The goal is to reinforce the positive message that behavioral health is essential to overall health, that prevention works and treatment is effective, and that people can and do recover. “There are millions of Americans, including residents in Morris County, whose lives have been transformed through recovery,’’ she added. Each September, prevention, treatment, and recovery programs and facilities in Morris County are highlighted, and new efforts are unveiled to help in this effort. In a collaborative spirit, the Morris County Prosecutor’s Office, Morris County Department of Human Services and community providers have created the Morris County Task Force on Opiates, which addresses the growing heroin epidemic and prescription drug abuse problem in our communities. The mission of this task force is to prevent overdose deaths through education, advocacy, collaboration and increased access to treatment. An important aspect of these efforts is promoting recovery and reducing the stigma associated with addiction. Morris County Freeholder Fredric Knapp Prosecutor Frederic Knapp accepted the freeholders’ proclamation at the Sept. 9 meeting. He was joined by the Task Force on Opiates representatives: Steve Nebesni, the Morris County Municipal Alliance Coordinator; Beth Jacobson, Morris County Addictions Services Administrator; Chris Chernick, Morris County Mental Health and Substance Abuse Advisory Board member; and Barbara Kauffman and Christina Fagan of Morris County Prevention is Key. Given the widespread impact and societal cost of these behavioral conditions, it’s important for communities to make prevention, treatment and recovery support available and accessible for all who need them. Every September, the Substance Abuse and Mental Health Services Administration (SAMHSA) sponsors National Recovery Month to increase awareness of behavioral health conditions. The theme for 2015 is “Join the Voices for Recovery: Visible, Vocal, Valuable!” which highlights the value of peer support by educating, mentoring and helping others. 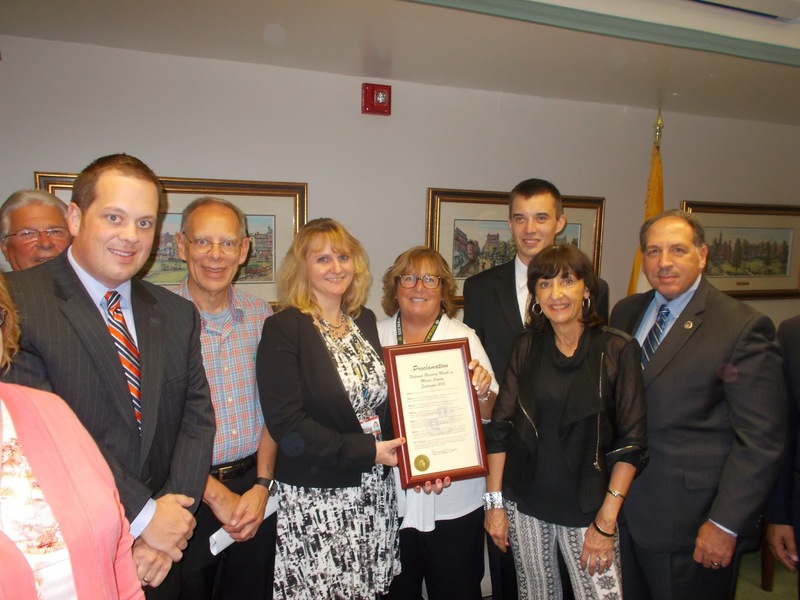 NOW, THEREFORE, I Kathryn A. DeFillippo, Director of the Morris County Board of Chosen Freeholders proclaim the month of September 2015 as National Recovery Month in Morris County and urge all Morris County residents to recognize and support appropriate programs, activities, and ceremonies to support recovery efforts. PHOTO CAPTION: (l/r) Brad Seabury, Morris County Prosecutor’s Office; Freeholder Dave Scapicchio (in back); Chris Chernick, Morris County Mental Health and Substance Abuse Advisory Board member; Morris County Addictions Services Administrator Beth Jacobson; Freeholder Director Kathy DeFillippo; Barbara Kaufman of Morris County Prevention is the Key; Freeholder Hank Lyon (in back) and Morris County Prosecutor Fredric Knapp.